Free Hands-On Training at Your Pace. We want to help you bring coding to your students. The best way to do that is to ensure you're comfortable with our hands-on coding tools and lessons. 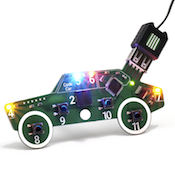 We developed an online training course for teachers to learn to use Let's Start Coding kits. 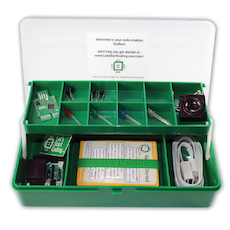 1) Get a Let's Start Coding kit mailed to you through our loaner program. 2) Complete the 4 hour interactive course while learning about coding. 3) Receive professional development credit and start coding in your classroom! Get Started with the Online Course! Our online course is free. We just ask that you take care of the loaner kits and share your feedback with us about the course. How long do I have to complete the training once I start? We encourage you to complete the training within 2 months of receiving your loaner kit. Do I have to send my loaner kit back? Yes. We provide a pre-paid envelope for you to return your loaner coding kit. Can I participate if I'm not in the United States? Yes, the training is free and available in English worldwide, but you'll have to purchase a kit. If you're outside of the USA, we recommend ordering through Amazon. The online training assumes you're using a Base Kit. Does the training take place at a certain date or time? No, the training is a pre-recorded online course. You can start and stop the course as often as you'd like. Once you're logged in, the course will 'remember' your progress. If I want to purchase my loaner kit after I complete the training, can I do that? Yes. Email us at info@letsstartcoding.com for details. If I decide to use the kits in my classroom, how many kits do I need? We recommend one kit per student , per class. 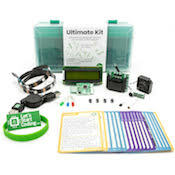 The kits can be reused and reprogrammed an infinite number of times, so if you have two classes with 30 students each, 30 kits will serve your students. 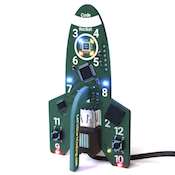 You can also pair students up on a single kit if you'd like to emphasize collaboration and pair programming. Yes. You can visit this page and complete the quote request form. We'll send you a quote, which you can use to generate a purchase order. Email or mail us the purchase order and we'll ship your kits and an invoice to the designated address. How do I know I'll get professional development credits for this course? While the requirements for professional development credit varies from district to district, we will provide you with a certificate of completion once you finish the course, as well as a SCORM-compatible report that shows the timestamps when you were working through the course and how you scored on the quizzes throughout. These two items are great tools to share with administrators. If you're unsure about whether or not this training will earn you credit, check with administrators beforehand or email us with your concerns.